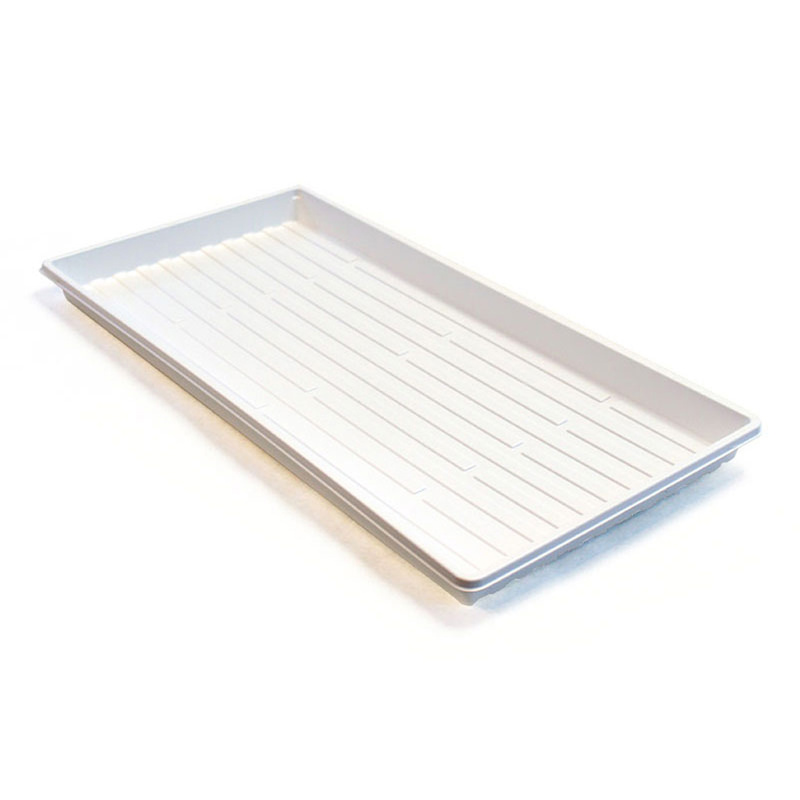 These 1020 White Trays work with both inserts and plug flats. Their shallower depth also makes checking water levels in the tray an easier task. Trays are 10.81" W x 21.25" L x 1.29" H.
These 1020 White Trays work with both inserts and plug flats. 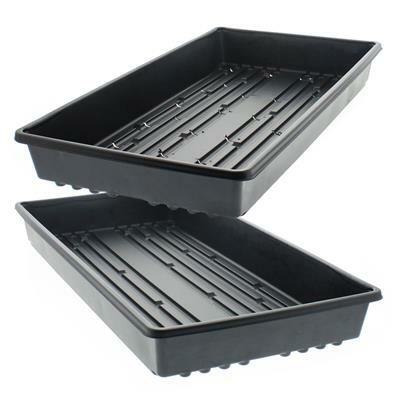 Their shallower depth also makes checking water levels in the tray an easier task. Trays are 10.81" W x 21.25" L x 1.29" H.
I bought these which were called white shallow heavy duty, and they were not heavy duty like the black trays which I am very pleased with. So unless you are not planning to move them, you might go towards the black ones. It is impossible to move the white shallow trays with 3" pots without the whole thing collapsing. I have been happy with the quality of all else I have purchased here. Perfect for my needs! 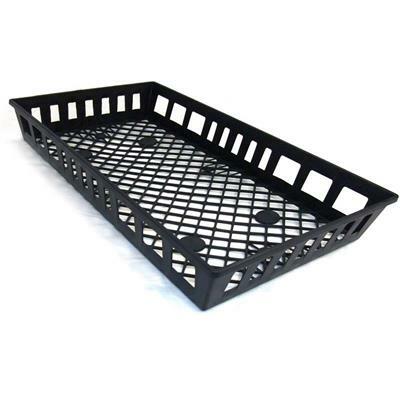 These trays are a great quality and very reasonably priced. I am using them for seadlings and as humidity trays. disappointed! This is be a superior tray compared to the standard tray. It is a little better. 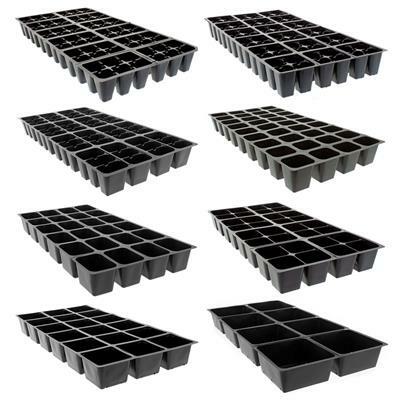 I bought 10 of these trays for holding small pots in my greenhouse. They work great. They are shallow enough that the plants cannot be overwatered and sturdy enough that the trays do not collapse when I remove them from shelves and move to work area. They are perfect for plug trays. You can water, and any excess gets sucked back up into the tray. It is light, but strong enough to carry in one hand. 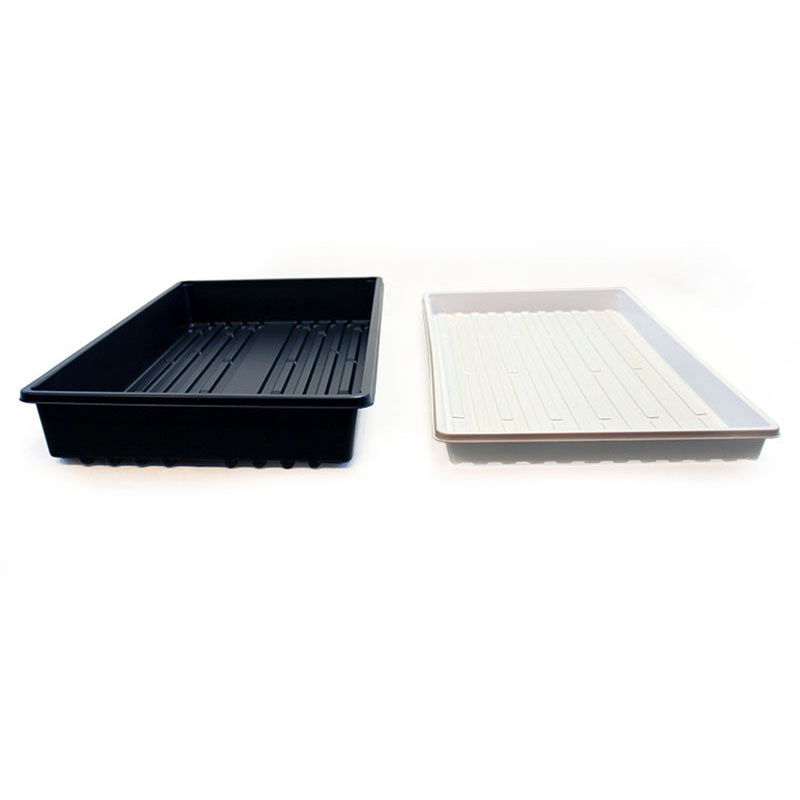 These trays are wonderful for keeping plant pots off surfaces that could be damaged by moisture. I got them in white and am very pleased with the quality and low profile. Strong shallow tray. The second time I've bought some. I'm glad they are strong and glad they are shallow. The first batch was used last winter and they are still perfect for this winter. Standard size, fits nicely with other trays. Very useful. Holds up relatively well for a very inexpensive tray. Use with smaller, lighter pots. I use them on wire shelves. Good trays used to hold cow pots for currently planted plants indoors. Deminsions,color and cost make them usable for my need. Which is as a drawercontaining mineral oil used to capture mites and beetles under the screened floor of a 6 frame beehive. The color white is necessary to make it possible to count mites. These trays are everything I needed and expected. 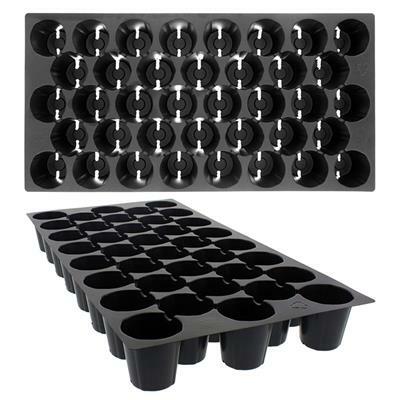 The smaller size is ideal for the standard plug tray or for any seed starting method. This is the second batch of 36 I have ordered. They passed the test in our Arboretum greenhouse. The only possible change I'd suggest is that they be made a little sturdier. Just what I have been looking for, plug trays fit perfect. It's nice to buy 10 at a time instead of 50 or 100 count cases, thanks Greenhouse Megastore! Sturdy, but not too heavy. 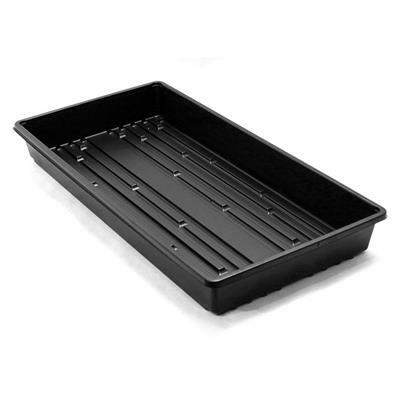 Makes excellent drip pans for any 1020 size rack or seed tray. I use it indoors for my extensive African violet collection, makes the set up look neat and tidy, as well as keeping the water and soil contained. The plant trays will be used for wintering my cacti and succulents in aspare bedroom over the winter. They are the correct size for the dresser that they will be set on. They have a sturdy bottom so plants will sit steady. 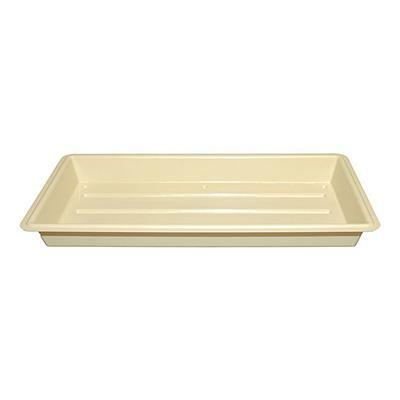 These trays are more shallow, and more flexible than the nesting trays we are all used to. But, I double them up and can still carry them with water and pots in them if i am careful. These trays are the only fit for my square cell trays AFAIK. I'd like them to be slightly stiffer for use as watering trays without doubling. 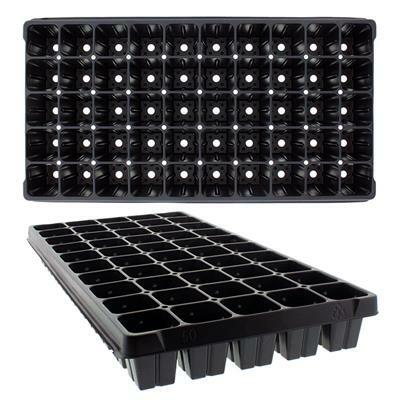 These are quality plant trays and a nice size as well. I am using them as humidity trays on a cart that I purchased. I have was able to move them with a sufficient layer of pebbles and water with no problem. I used these for a non obtrusive look for my garden bay window. Small enough to be useful but big enough to catch water and prevent surface damage to the window. These shallow trays work great with the 1020, 72 hole square cells. These shallow trays work very good for my 72 seed pack. PERFECT FOR MY PLUG FLATS 200 SQUARE CELLS. JUST WHAT I WAS LOOKING FOR! Good product, fair price these work well with the 200 cell plug tray. Will buy more! 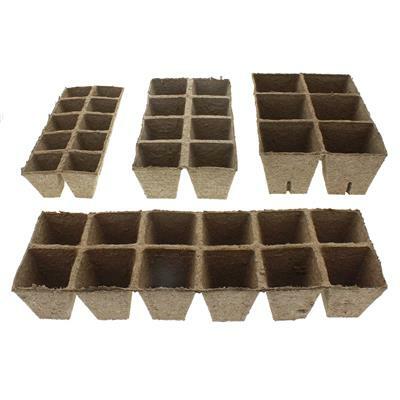 Great for seed starting cells.